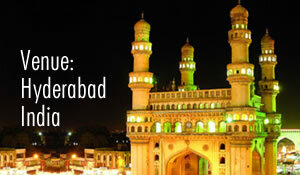 The 13th Biennial Conference of the International Association for the Study of the Commons (IASC) was held in Hyderabad, India from January 10th to 14th, 2011. The Conference was held in South Asia for the first time; and in a departure from the past, was hosted by a practitioner organization - Foundation for Ecological Security (FES). 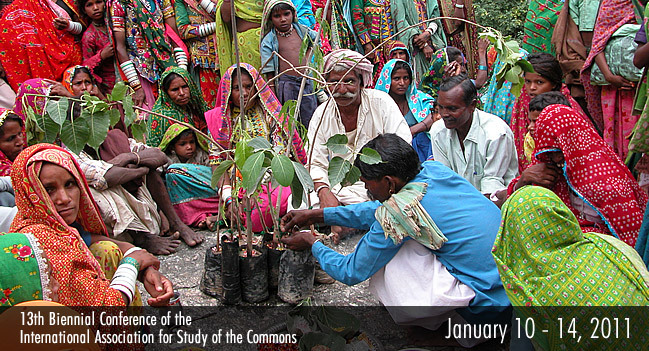 The Conference provided a unique opportunity to resurface the discussion and debate on Commons and bring experience and evidence from across the world to show that Commons are not a relic of the past, but play a strategic role in maintaining ecological health, reducing poverty, and improving collective action. By placing the Conference agenda in the ongoing discussions around conservation, local governance, social exclusion and human rights, agrarian distress and rural livelihoods, and by pitching it at the interface of policy, research and practice, the aim was to bring practitioners, scholars and decision makers to a common meeting ground so as to enrich the collective understanding on common property resources and identify areas and measures to inform policy and programmatic action as well as guide future research. 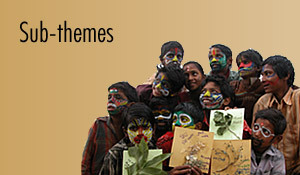 Dr. Elinor Ostrom, Nobel Laureate, to address the plenary at IASC 2011!